Trying to reach both kinds of summits can leave you exhausted and gasping for air but also a whole lot wiser. Recently, I watched An American Ascent, a documentary chronicling the first African American expedition to tackle Denali, North America's highest peak. I found the film compelling. Why? Because I love things that people say "you can't do" and because mountains absolutely fascinate me. They represent challenges, aspirations and the spiritual draw of nature. That's why, following the screening, I was delighted to be introduced as a "real mountaineer." My heart leaped -- no, it soared -- because I'd never expected to hear that description of me. But the descrption was accurate: I'd personally experienced the same as those Denali adventurers when I climbed Mount Kilimanjaro in Tanzania -- Africa's highest peak -- with GAdventures. Yep, the girl who shouldn't have, did!!! I was from an Indian family, after all, and mountaineering wasn't the kind of thing a girl like me was supposed to do (that's another story). An American Ascent was similarly about breaking the rules and the bravery of seriously stepping out of one's comfort zone. Now doesn't that sound like the life of entrepreneur? As professional mountaineer Adrian Ballinger has said, "Running a business is a lot like climbing a mountain." So, what lessons can we apply from mountaineering to climbing our own "Mount Entrepreneur"? I can think of eight. True entrepreneurs are about more than the pure desire to succeed. It's not just about "reaching the top of the mountain" for them. Their life has a mission: Design the next best technical product! Find a solution to a problem the world faces! As Peter Diamandis of XPRIZE has said, "If the risk is fully aligned with your purpose and mission, then it's worth considering." Climbing a mountain has always been on my bucket list. Each time I thought of the milestone birthday coming up, I knew I just wanted to be on a mountain. Being there, that day, or in the process of climbing it was what mattered. I had desperately wanted to do the things that weren't prescribed for kids from my background; that became my mission and driver. In business, it's the same, I'd never fitted in as a kid; I was awkward and different; I wanted to follow my own path. Today, I have a company that "unleashes the crazy" in people. Its mission: to help the world better understand different thinkers. That same kind of innate desire to be bigger, better, stronger is what drove me up the mountain, just as it does in my business life. That's the entrepreneurial spark: As motivational speaker Simon Sinek has said, "Start with why." Be crystal-clear on your why and be able to describe it in a one-to-two sentence elevator pitch that emotionally ignites you. Entrepreneurs accept the challenge to act on an idea. That challenge might take years of work and perseverance to realize, or it might be an overnight success. The fact is they execute on their ideas knowing that even as this journey commences, it starts with the first step. As Richard Branson said, "Dream big by setting yourself seemingly impossible challenges. You then have to catch up with them." 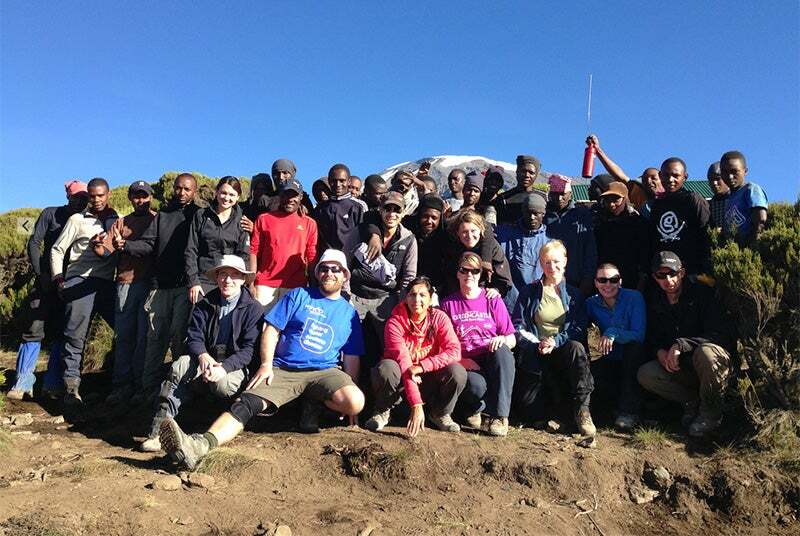 Yes, climbing Kilimanjaro was a challenge: I'm not the fittest person; when I hike, everyone is faster than me. But that stubborn determination was there: I could do this. So, I booked an expedition I couldn't back out on; I'd lose my down payment. Next was my training regime. Every day, I'd climb hills with a backpack laden with weights. 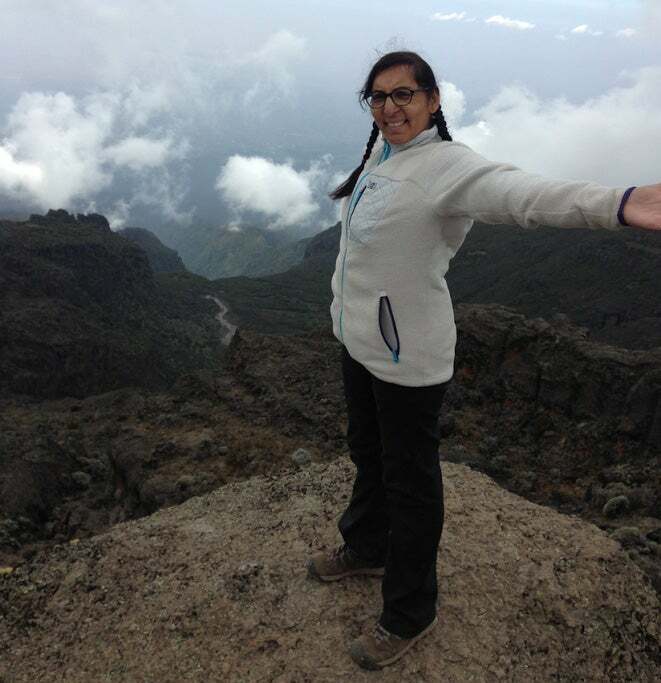 It was tough, and I hadn't even gotten to Kili yet. Weeks on end of training followed. Entrepreneurs need to recognize the right challenge when they find it -- whether to innovate their industry radically or incrementally. They need to be able to pivot when unforeseen opportunities present themselves. So, use your intuition and ask yourself, does this challenge still feel right for me? You don't want to spend years climbing the wrong mountain for you, do you? 3. Think beyond your limitations. Entrepreneurs deliberately choose to climb steep mountains instead of walking up small hills. We call successful entrepreneurs visionaries because they don't put a limit on how far their thoughts can take them. As Elon Musk said, "We spend too much time on small ideas." At Kili's base, I was full of energy and anticipation. Spirits were high, and I was just happy to be there. But, as the climbing commenced, I began to feel that I had bitten off more than I could chew. The food tasted bland, I was struggling to keep up with the group and felt I was slowing them down. The higher we climbed, the more my body rebelled. I hadn't known how the altitude would affect me: Physically, I was running on empty; my energy levels were depleted; I lost my appetite. I was drawing on everything I had just to make it through the day. I felt alone and angry that all the training hadn't paid off. Yet that stubbornness that gets me through most tough things in life was there: I didn't ask myself, would I make it to the top or not? I didn't waste time thinking about the reasons I couldn't. But I did question myself as to what reserves, physical and mental I could draw on to push past the limits. Similarly, great entrepreneurs don't limit themselves or their businesses.They ask questions like: If there were no limitations on time or money, what could this venture look like? They see a limitless version of themselves and strive to live it. Do you know the limitless version of you and how that could impact your business? 4. Don't climb looking at the ground. It's common for entrepreneurs to spend years trudging down the wrong path, only to hit a dead end, look back and see how clear the warning signs were on their journey. As you climb your entrepreneurial mountain, be sure not do it with your head down. High performers recognize and schedule vital reflection time, enabling themselves to step back from their day-to-day challenges to assess their journey and progress. Climbing was demanding and I fell further behind the pace of the group every day. I climbed as best I could, took more breaks and kept going. I arrived at each camp often hours after the others; but make it to camp I did. I knew that if I tried to keep pace with everyone, I'd never make it. I had to go at my pace, or it was game over. Keeping a journal about how I felt and what was driving me helped me stay focused. I came to understand the word grit better than ever. Doing so reminded me that my heart had decided to climb Kili long before my head and body did. Entrepreneurship too is a difficult journey and we need to think on what is working, what is not and how we are to keep the company alive. Make it a habit to reflect on your actions and decisions. Document your thoughts and feelings as an audio or journal them. Those nuggets of wiseness may be useful in your future [ad]ventures. Are you able to recognize the lessons from your entrepreneurial journey that may better you or others if you were to share the learns? 5. Doubt -- no doubt. Sometimes, it's others who doubt your abilities; sometimes, it's you, yourself. In 1975, Junko Tabei became the first woman to summit Everest and then all Seven Summits. She said, "There was never a question in my mind that I wanted to climb that mountain, no matter what other people said." Entrepreneurs too question their skills, capabilities and determination. Don't be discouraged by these entrepreneurial mind games. They are normal. As my climb progressed, the length of time it took to cover the same ground as the group increased. The guides voiced their doubts whether I could make it in the group's allotted time frame. So, I asked if I could start the final ascent two hours before the others. Yes, the doubts were there, yet hand in hand with them was the pig-headed stubborn determination that has helped me in every major endeavor in life. Entrepreneurs often use their determination to overcome their doubts. The smart ones don't go it alone, and have strategies and people in place for when the doubts set in. They explore the doubts to understand why the doubt exists. This deeper understanding then enables them to apply solutions to the challenges the doubts placed on the table. Do you have systems in place that can move you from doubt to less or no doubt? 6. Who are you becoming? Entrepreneurs know their chosen work life. For most, that means their life's work. They know it's challenging, yet they persevere because it gives their life meaning. Often they're driven by a desire to push humanity forward, even if just an inch. Tony Robbins has said: "It is not what we get, but who we become, what we contribute . . . that gives meaning to our lives." 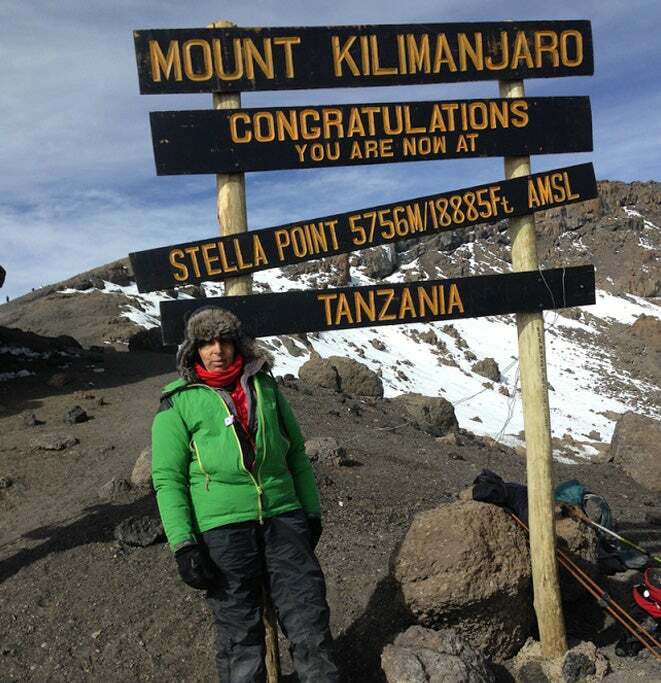 The physical act of climbing Kili made me become a stronger, more driven version of me. I learned about myself, my intense level of determination, my underestimation of myself and the power of listening to my inner voice. When I reflect on the climb, it's all about who I became; and now every time I think I can't do something, I say, "Well you climbed Kili didn't you? Remember, there are many metrics of success for an entrepreneur, and they are not all about the bottom line. Others are aligned to the impact, the difference they make to their industry and the satisfaction of doing the right thing. Are you exploring how you must grow internally to execute your vision externally? What have you learned about yourself lately? 7. Be a Yoda cheerleader. Entrepreneurs motivate, push and inspire others to climb their own mountains. Truly successful entrepreneurs thrive on helping others to excel, by integrating that spirit into their businesses through systems that ensure their teams reach their personal goals as well as those of their business. Vishen Lakhiani of Mindvalley has said he ensures everyone's goals are shared openly; then he and other team members make sure those goals are achieved. I felt challenged on my climb because everyone else in the group was a type "A " personality, trying to break his or her personal daily records and avoid being the last one in the group. I felt lonely, and recall saying to myself, I might as well have done this alone, because all my previous adventures had been with supportive comrades. I was so discouraged I never even told anyone in the group it was my birthday. An essential entrepreneurial role and responsibility is to motivate and push both yourself and your team. As author Shawn Achor's book The Happiness Advantage formula highlights, happiness begets success, not the other way around. Have you asked how you are doing this for yourself and your team? 8. Go backwards, go forwards and fail. Entrepreneurs are aware that sometimes they must go backwards to go forwards, and may also fail outright and never reach that goal.But most can live with having tried and failed, rather than never having tried at all. Unsure footing and mistakes are powerful parts of any journey. Climbing Kili involved ascending, descending part way and then ascending farther the next day, to acclimatize. This felt like a complete waste of both time and energy. I was frustrated at having to go down the mountain because of the time and energy it took me to get to the next level. It was hard to appreciate that that's the only way to climb for those of us unaccustomed to the high altitudes. Though these descents were frustrating, I recognized that they led to the success of the meters gained the following day. I tried to think about the children I'd once cared for as a nurse who would never have this opportunity; that gratitude mindset was a powerful tool that enabled me to see past the challenges and focus on the love of the climb. In the same way, a very real part of being an entrepreneur is loving the hustle, enjoying the entrepreneurial journey. How often has a previous failure led to a subsequent success or powerful lesson that became a game-changer for you? Looking back, I realize I needed to be far fitter than I was. What I needed more than anything on that climb was one more day. One more day would have meant I'd have reached the highest peak of Kili, instead of turning around 135 meters from the top. Not quite making it to my goal was the biggest emotional hardship to endure, and that hurt was and is the same whether we're climbing a mountain or Mount Entrepreneur. Related: "Don't Let Fear Tell You that You Aren't Capable of Doing Something"
"Just keep going, whatever happens. There is of course never any point in crying over spilled milk -- the key is to learn from failures and then to keep going."